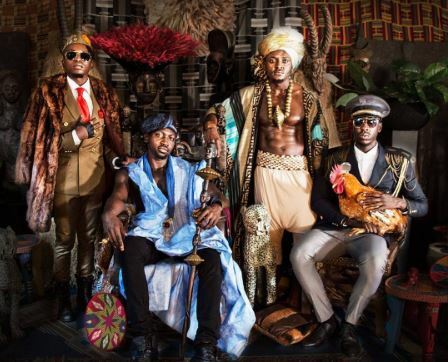 Kenya’s afro-pop band, Sauti Sol have added two m0re gongs to their growing list of awards. The high-flying hitmakers won two awards at the fifth edition of the HiPipo Music Awards, held in Kampala at the Kampala Serena Hotel. The two awards were for the mega collaboration with Tanzania’s Ali Kiba ‘Unconditionally Bae’. The song won the categories: Song of The Year Kenya and East Africa Super Hit. Coming in third was Bebe Cool, who scooped Music Icon of the Decade, Best Male Artist and Song of the Year. Tanzania’s Diamond Platnumz won the Quinquennial Africa Music Vanguard Award and the East Africa Best Video for ‘Salome’ featuring Rayvanny. The HiPipo Music Awards is an annual extravaganza organised by HiPipo, to celebrate, promote and recognize music excellence in Uganda and East Africa.